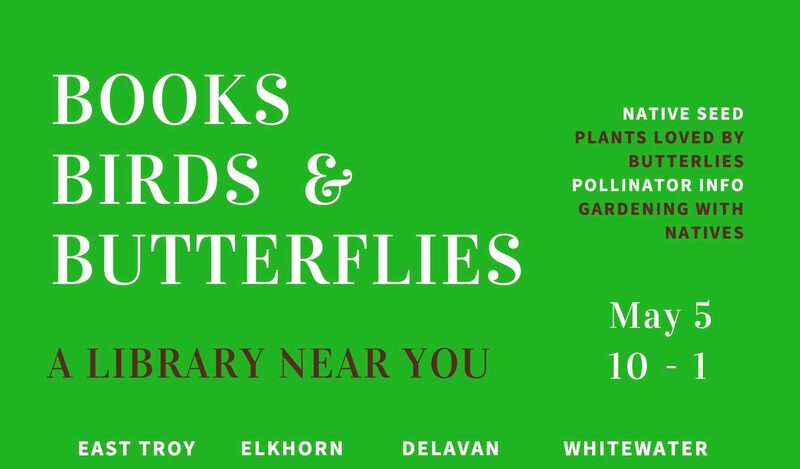 Kettle Moraine Land Trust is partnering with local libraries on May 5th to let you know how YOU can make our communities and our Earth a beautiful home for all of us. Stop by your library to look through their collection of books that will inspire you to make the world a greener and better place to live. Then chat with a KMLT volunteer about what you can do in your own garden or yard to attract and nourish butterflies, birds and more. A limited number of free native plants and seeds will be available. Questions? Call Maggie Zoellner, Executive Director at 262-949-7211 or email info@kmlandtrust.org.